Simplicity was a key form of success for Dries Van Noten’s spring/summer 2019 runway show, encompassing easygoing looks with sophisticated sensibilities. 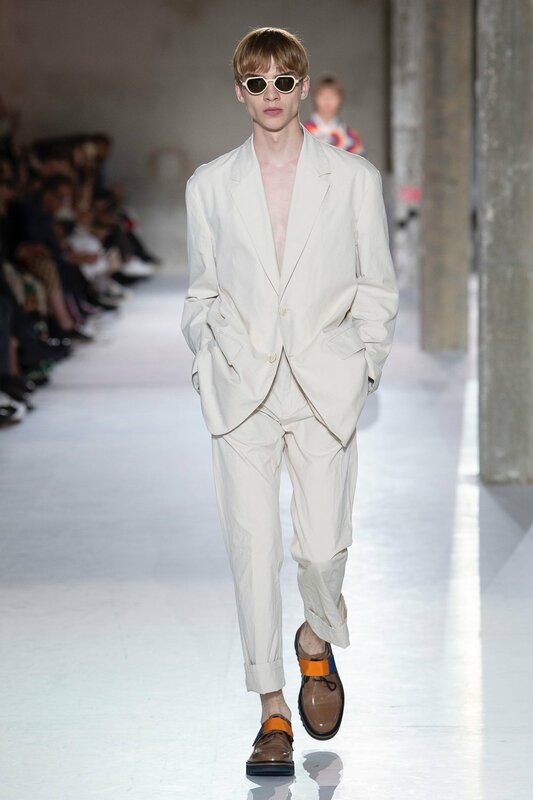 Style Advice: Luckily for the consumer, the super simplistic looks of Dries Van Noten’s spring/summer 2019 runway show only require a few very easy to grab pieces. Start from the top to the bottom and pick up the Double Breasted Corduroy Blazer ($130) from Zara. Since you’ll be leaving it open, we don’t have to worry about picking up a t-shirt. While you’re at Zara, be sure to purchase the Wide Leg Chino Pants ($50) in the color white so you can have some matching trousers. To round this outfit up, you’ll want a memorable pair of sunglasses and shoes. Head over to Urban Outfitters for these looks and pick up the Chunky Plastic Sunglasses ($20) and the Sperry Authentic Original 2-Eye Boat Shoes ($95), as both will provide the best finishing touches to have the overall look at its best. 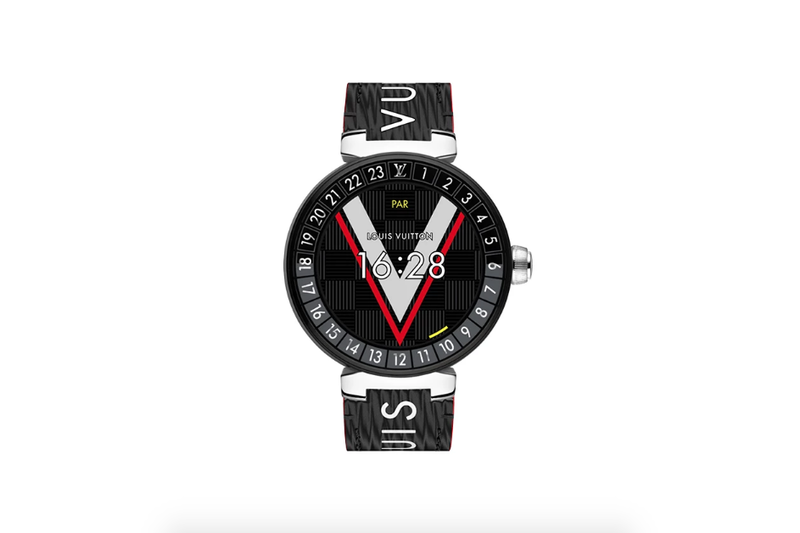 Must Have: Shown off during the same announcement as their new wireless headphones, Louis Vuitton has recently unveiled the second generation of their Tambour Horizon Smartwatches. Being sold between $2,250-$8,500, these accessories come designed with tons of iconic Louis Vuitton logos and motifs. Certain apps come pre-downloaded with the device such as an “LV City Guide” map, fitness tracker and calendar. Special modes can be activated to extend the battery life of the device to as much as 5 days, and there is even a “pollution” tracker app attachment that can detect nearby air quality. Available colors include white ceramic, matte black and matte brown. Industry Update: Victoria Beckham has just launched her first activewear collection with Reebok, toting luxury style with traditional practicability. The range of the collection includes men and women’s clothing centered around your shoes, shirts, pants and socks, all ranging from $29 to $500. According to a press release from Reebok, one of Beckham’s aims for the collection was to allow consumers to not sacrifice luxury fashion when it came to high quality activewear.